Russian President Vladimir Putin said Saturday that he assured President Donald Trump that Moscow didn't meddle in the 2016 election — and suggested that the American leader accepted his explanation. "As far as I could, I answered these questions, (Trump) noted them and he agreed. But you have to ask him how he really felt about it," Putin told reporters, speaking through a translator after the end of the two-day Group of 20 summit in Hamburg, Germany. Trump and Putin shared their first face-to-face meeting on the sidelines of the summit Friday. The pair spoke for more than two hours on a range of topics that included Syria, cybersecurity and terrorism, White House officials said. On Saturday, Putin said he left the meeting with a new outlook on his counterpart and U.S.-Russian relations in general. "I left feeling like our relations are well," he said. "TV Trump is very, very different from the real Trump, from the Trump I had before me, and it's something — he certainly reacts to what you say, questions you raise, to new elements introduced." According to U.S. and Russian officials, the two leaders have agreed to create a "working group" that would jointly monitor cyber threats and prevent election interference in future elections in both countries and abroad. Secretary of State Rex Tillerson told reporters Friday that Trump opened his meeting with Putin by pressing him on the issue of election interference and they had a "very robust and lengthy exchange on the subject." Putin said he hopes the joint project will quell the allegations of Russian hacking. "I hope we'll be able to set this scheme up and this will put an end to all the speculation on this subject," he said. 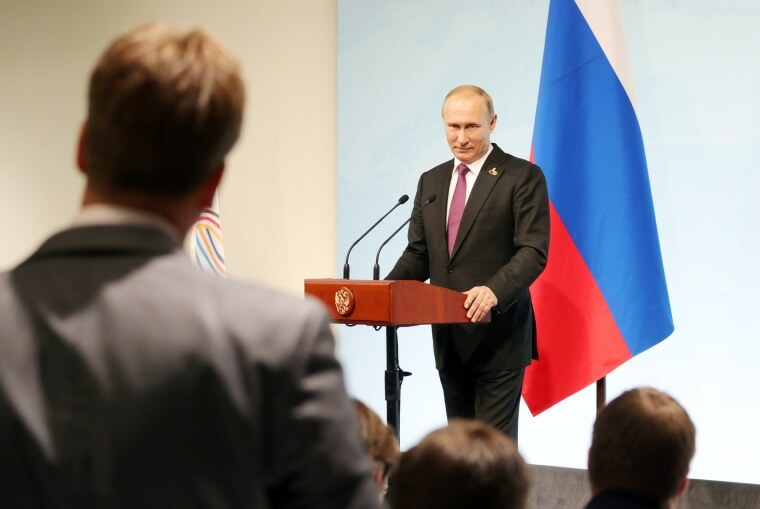 The Russian president and his administration have repeatedly denied that the Kremlin interfered in last year's presidential election, despite the conclusion of U.S. intelligence agencies that Russia was involved. During a joint news conference in Warsaw this week, Trump contradicted the agencies' findings by suggesting that "other countries" could have also meddled in the campaign. "I think it could very well have been Russia, but I think well could have been other countries," Trump said. "And I won't be specific, but I think a lot of people interfere." Trump's G-20 appearance began with him shaking hands with Putin and other world leaders. Although he and German Chancellor Angela Merkel have traded criticism over the U.S. withdrawing from the global Paris Climate Accord, Trump later tweeted Saturday that the summit was a "wonderful success" and thanked Merkel for hosting the gathering.